FALINTIL formation anniversary is an official holiday celebrated on August 20 in East Timor. It honors the Armed Forces for the National Liberation of East Timor (Forças Armadas da Libertação Nacional de Timor-Leste) that fought for the country’s independence. FALINTIL was founded on August 20, 1975 as the military wing of FRETILIN, a leftist political party and resistance movement that fought for the independence of East Timor from Portugal and Indonesia. The organization gained most of its initial military units when the majority of the former Portuguese garrisons deployed in East Timor switched allegiance to FALINTIL. At the time of the Indonesian invasion, FALINTIL consisted of 2,500 regular soldiers, 7,000 with some Portuguese military training, and 10,000 who had completed brief military instruction courses. During the Indonesian occupation of East Timor, FALINTIL was part of the armed resistance movement against the invaders. 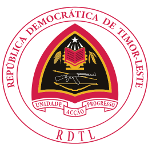 Following the independence of East Timor, FALINTIL was officially dissolved, only to be almost immediately reinstated as the Timor Leste Defense Force (Falintil-FDTL), the armed forces of the newly independent state. The formation anniversary of FALINTIL is an important observance in East Timor. Although it is not a national holiday, government employees are usually given a day off on the occasion. The celebration includes official events at the F-FDTL headquarters, a flag raising ceremony, military parades, and the conferring of promotions and awards.